The DREAM sculpture represents the beginning of a renaissance of public art in Arlington. 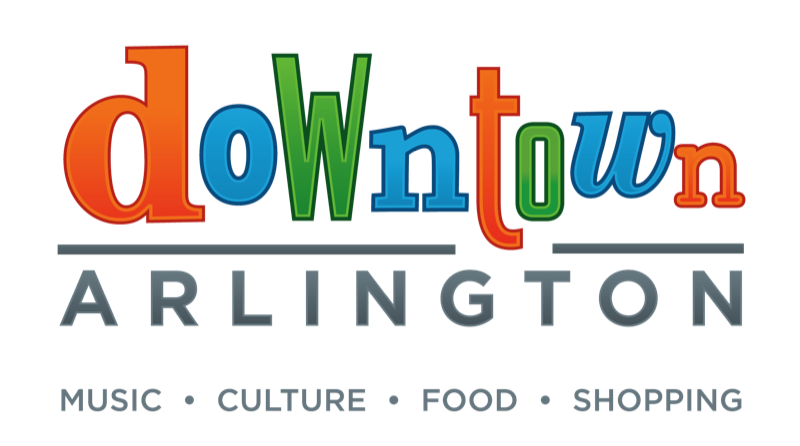 With an emphasis on accessible and interactive art, that is as inspiring and engaging at night as during the day, Arlington is poised to claim the reputation of 'The City Of Sculpture & Light'. 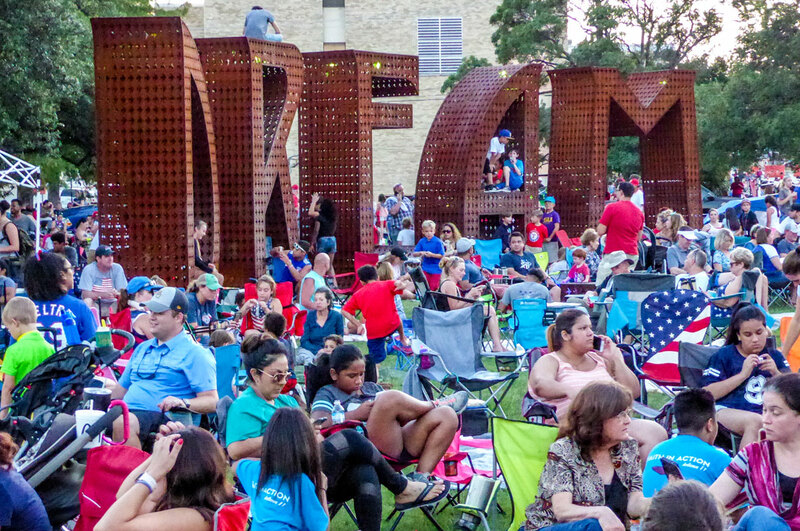 Due to construction projects in the Downtown area, DREAM will be installed in the grassy area west of Founders Plaza and the Levitt Pavillion. Located at this spot for 18 to 24 months, the plan is to eventually move DREAM to an area known as DREAM Park in the center of Downtown Arlington. DREAM Park will offer a tranquil and comfortable urban oasis to have lunch, read a book, surf social media and attend any number of programmed events from yoga & tai chi to dog training classes. 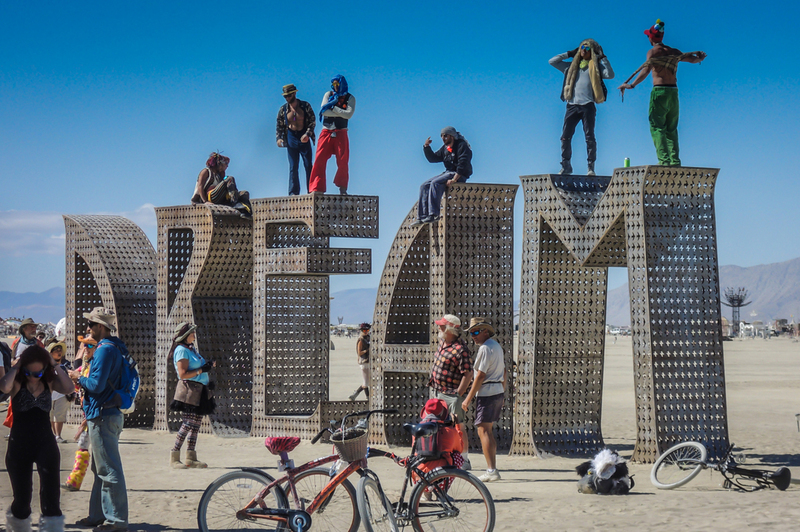 What does the word DREAM mean to you? While it's different for each person, everyone will be able to find it in Arlington. The letters are constructed of heavy sheet-metal steel, with cutouts of flying birds to create movement and reduce weight, on a skeleton of rigid tubing for permanent support. 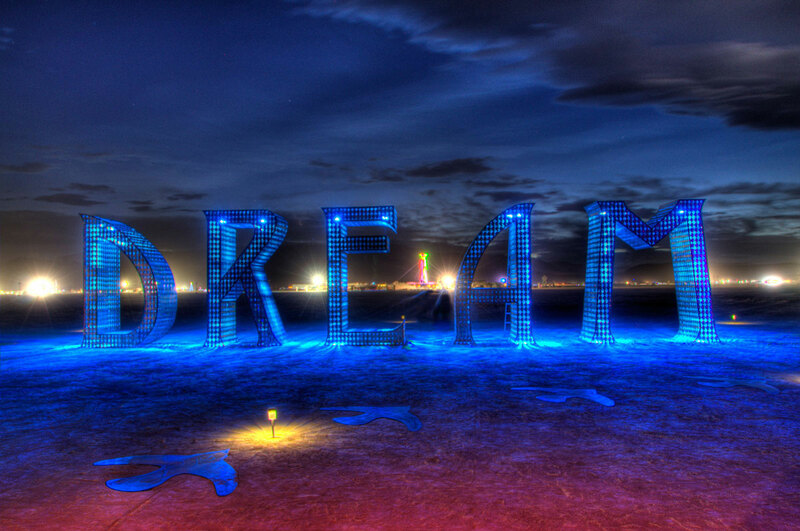 Each letter is 12' tall x 4’ deep x 8’ to 10 wide and can be lit from within by LEDs, which change colors as programmed. They can also be lit by external, up lights, which can also alter in color, making the installation flexible for different occasions and constantly changing. 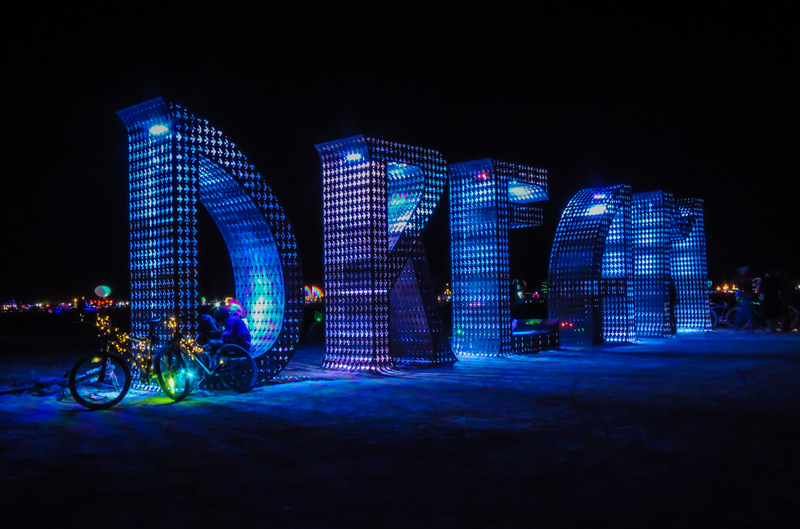 People will be able to interact with DREAM by using an app on their mobil devices to alter the color of the lights within the piece. 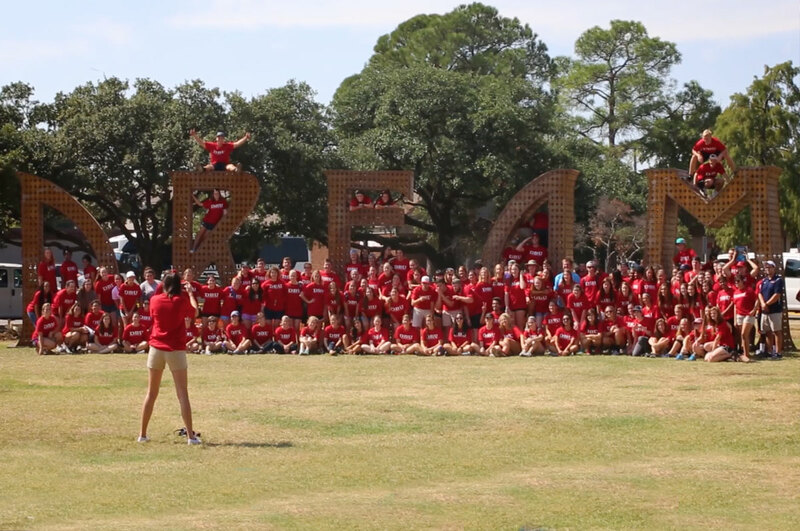 Whether it's day or night, people will be drawn to have their picture taken in front of our DREAM and share the photos on social media platforms for years to come, with captions like ‘I found my DREAM in Arlington, Texas!’. 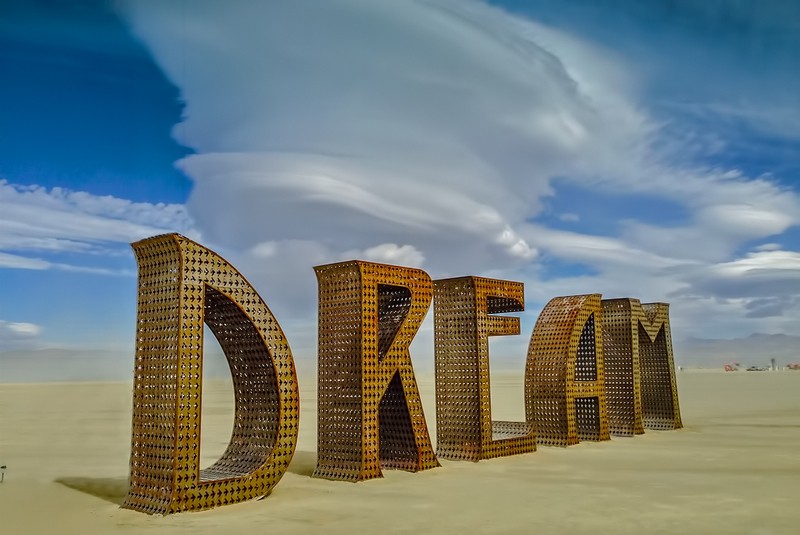 For the past seven years, artists Jeff Schomberg and Laura Kimpton have created 'BIG WORD' art projects and unveiled them at the annual Burning Man Festival located in the Black Rock Desert of Nevada. While their pieces have been photographed by thousands and viewed by millions of people world wide, the 'BIG WORDS' are just a small part of their work. The nature of Laura's work is inherently social as she requires reaction and discussion for it to complete its task. She is continually exploring new mediums in her search for revelatory communication. Jeff is a sculptor, installation artist and art car creator. 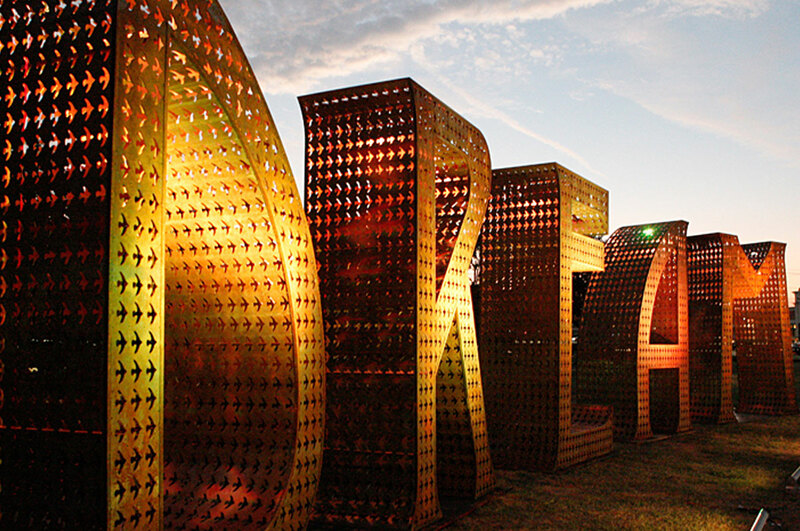 His unique style incorporates steel, stone and found objects to create larger than life pieces from giant candle holders, water fountains, fire breathing structures and letters. Watch the trailer from Jeremy Dunn's documentary, featuring artists Jeff Schomberg & Laura Kimpton, on the making of DREAM and its journey to Arlington, Texas. There are so many ways to make a tax deductible contribution to Project DREAM! Any contribution is welcome and will help the DREAM Project become a reality. * $10,000 and $5,000 - To insure that your name is included on the Donor Wall, your contribution must be received by August 20, 2015. Like DREAM Park on Facebook and Follow the page to see photos and keep up with events and our progress. Our ultimate DREAM is to develop ‘DREAM Park’, an urban park between N. Mesquite St. and N. Center St., in the grassy area between Front St. and the RR tracks, with this distinctive art piece as its anchor, with the park extending East to Mary Street, creating a 'mini' Klyde Warren like park with programmed events for Arlington residents and visitors.